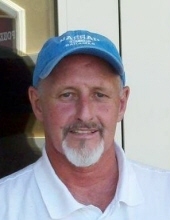 Ronald Carson Breeding, age 65, passed away on February 6, 2019. Ronald was born on December 4, 1953 to Cochel and Rosalee (nee Honshul) Breeding in Detroit, Michigan. Ron retired from the Chrysler Corporation in 2007, after years of proud work. Ron enjoyed fishing, boating, and traveling in his free time. Ron was also an avid animal advocate. But most important to him, was his beloved family and dear friends. Beloved brother of Peggy Breeding Oviatt (of Clarkston, MI), C. Wayne (Janet) Breeding (of Rockingham, NC), and Pamela Marie Breeding (of Clarkston, MI); he is also survived by many dear nieces, nephews, and cousins. Preceded in death by his loving parents Cochel and Rosalee Breeding; and dearest companion Ruby, who never left his side. Memorial Service on Friday, February 15, 2019 at Lee-Ellena Funeral Home. Instate, or gathering time, 11AM. Service at 12PM. To send flowers or a remembrance gift to the family of Ronald Carson Breeding, please visit our Tribute Store. "Email Address" would like to share the life celebration of Ronald Carson Breeding. Click on the "link" to go to share a favorite memory or leave a condolence message for the family.